Fran Barsby is a British harpist known for her passion and innovation. 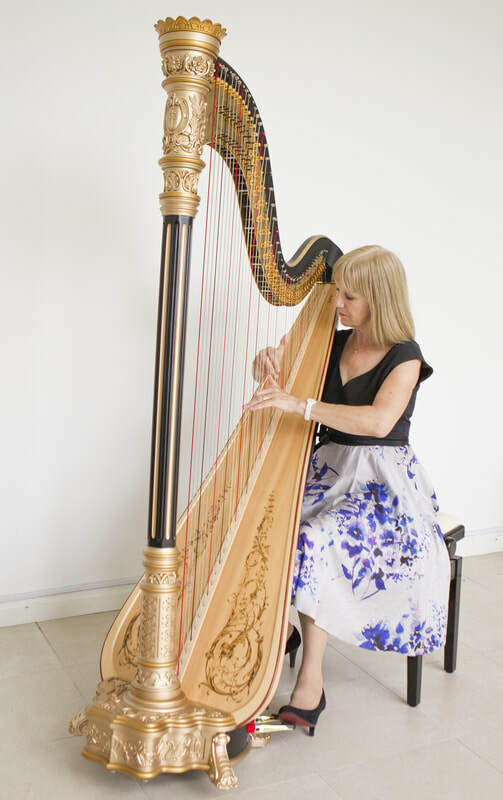 Beginning the harp 17 years ago, Fran has played at venues such as the Royal Albert Hall, Birmingham Symphony Hall, St Johns Smith Square, Birmingham Town Hall, Chichester festival theatre and more. Her solo and ensemble career with groups such as the International Harp Ensemble, Dionysos (cello and harp duet), and various orchestras has taken her around the breadth of Europe. Fran graduated from the Royal Birmingham Conservatoire in 2015. In September 2015 Fran achieved her lifelong harp goal and began working for Pilgrim Harps as their resident harpist and online marketing co-ordinator. Not only does Fran have a very busy performing career but she also has a passion for teaching. 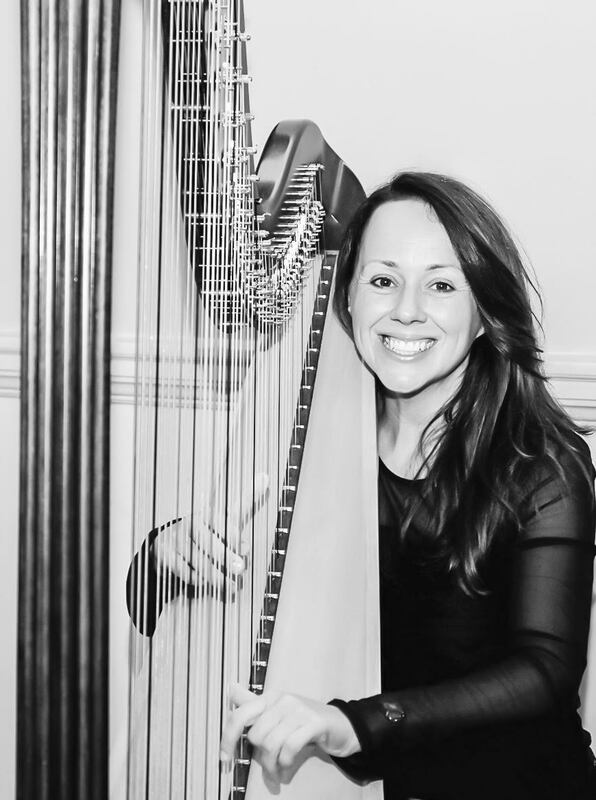 Fran is the harp teacher at the Blue Coat School, Warwick Prep School and Kings High School for Girls as well as teaching privately. Fran is also devoted to helping young professionals find their feet in the music industry. She is director of PoppyHarp publishing, a company dedicated to helping composers and harpists publish their music as well as creating innovative resources for music teachers and students. April 2015 brought the release of a new set of 13 Harp tuition books for students of all ages, parental help guides and advise for teachers. Fran is also the director of the Future Blend Project, a charitable competition organised to help young musicians find their first steps in their careers. "Fran is an enthusiastic and energetic teacher, Her approach to teaching my daughter is innovative and engaging. She makes learning fun! My daughter looks forward to lessons and I always hear a lot of laughter coming from the two of them as they learn new things together. " Audrey Douglas studied at the Royal College of Music and following her studies was harpist with the BBC Northern Ireland and subsequently the Ulster Orchestra. 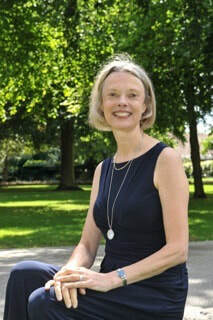 Audrey has lived and worked in the Midlands for many years, having playing with several major orchestras and worked on numerous productions for the Royal Shakespeare Company. Vera started playing the harp when she was 12-years old in St. Petersburg, Russia. Her teacher was Bella Oganyan. In 2002, Vera entered the harp class of the St. Petersburg Mussorgsky College of Music as a full-time student under the guidance of Irina Donskaya, and later continued her studies in the St. Petersburg Rimisky-Korsakov Conservatory in 2006. In 2008 she decided to continue her study in the UK entering a Bachelor course in the Birmingham Conservatory with Catherine White and graduated in 2012. Vera gained a lot of experience during the studies, performing at the numerous master-classes with Skaila Kanga, Katherine Thomas, Jana Bouskova, Isabelle Perrin, Gabriella Dall'Olio, Park Stickney and other renowned harpists. She took part in a number of competitions throughout her career, such as the Vera Dulova IV Harp Festival in Moscow (2005), the North Wales Camac Harp Festival (2010) and the North London Camac Harp Competition (2011). Vera won the first prize of Sylvia Cleaver Chamber Music Competition in 2012 and the Birmingham Chamber Music Society Prize in 2012. Vera performed and keeps performing with a large number of orchestras and the UK including CBSO (within the CBSO Training Scheme), Birmingham Philarmonic Orchestra, Birmingham Symphony Winds, Birmingham Conservatoire Symphony Orchestra, Birmingham Conservatoire Repertoire Orchestra, Birmingham Festival Orchestra, Queens Park Sinfonia and Birmingham Schools Concert Orchestra. 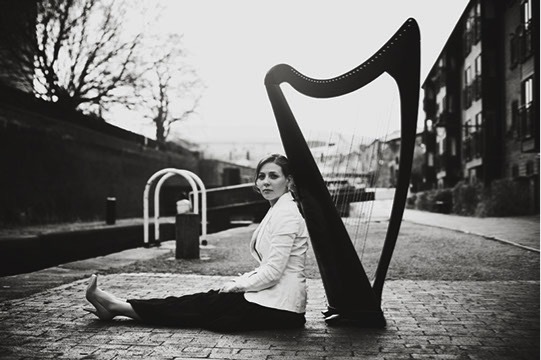 Vera is an experienced harpist and frequently performs at weddings, as well as performing academic music with various chamber groups, orchestras and solo. ​Originally from Caithness in the north Highlands, Erica Sinclair began studying clarsach with Bill Taylor aged seven, and then clarinet with Karen Anderson at the age of eleven. At school, she was involved in the Highland Region Youth Orchestra and the National Children’s Orchestra of Scotland. She taught clarsach with Feis Ghallaibh as well as privately, and regularly performed as a soloist. In 2009, she began the BMus programme at Edinburgh Napier University, studying clarinet; she also began her studies in pedal harp with Alina Bzhezhinska. There, she was involved in concerts as a soloist and with the various university ensembles, including Britten’s “A Ceremony of Carols” with the Chamber Choir. In 2010 she won the Adult Open Clarsach Competition at the Royal National Mòd. She graduated in 2013 with First Class Honours. In 2013, Erica began her studies on the MMus programme at Birmingham Conservatoire, studying clarinet; she continued her harp studies there with Catherine White. During her time there, she was regularly involved in the college orchestras and ensemble. In 2015, she performed as a soloist alongside Catherine O’Rourke for Mozart’s Flute and Harp Concerto with the Highland Chamber Orchestra. She graduated with Masters with Distinction from Birmingham Conservatoire in 2015. Recently, Erica composed and performed an instrumental accompaniment to poet Kenneth Steven’s “A Song Among the Stones”. She has performed as part of the Future Blend and Contemporary Voices Projects, which team composers and performers together. She works regularly with Yfat Soul Zisso, and was not only gave Pilgrim Harps’ Electroacoustic Pedal Harp its debut performance with one of Zisso’s pieces, but was also invited to perform at the harp’s launch. Erica is also a member of the Mahler Players, who specialise in performing chamber arrangements of Mahler’s work, alongside works from the 20th and 21st centuries. Amanda is based in Cardiff where she is the Jazz harp tutor at the Royal Welsh College of Music and Drama. She also is the Jazz harp tutor at The Royal Birmingham Conservatoire. 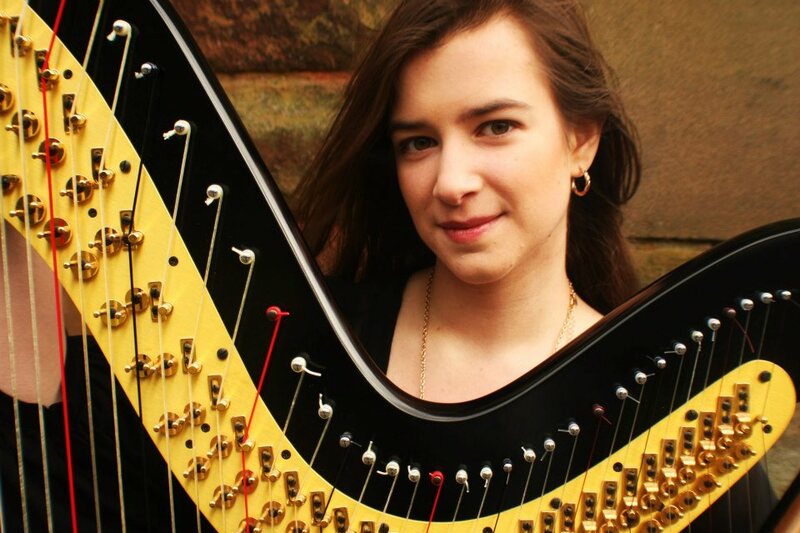 Amanda started the harp when she was six and completed her BMus and LRSM with Caryl Thomas. She later went on to study a Masters in Jazz. Her recordings and series of books are used around the world and her pieces are on the Trinity exam Syllabus of Music.